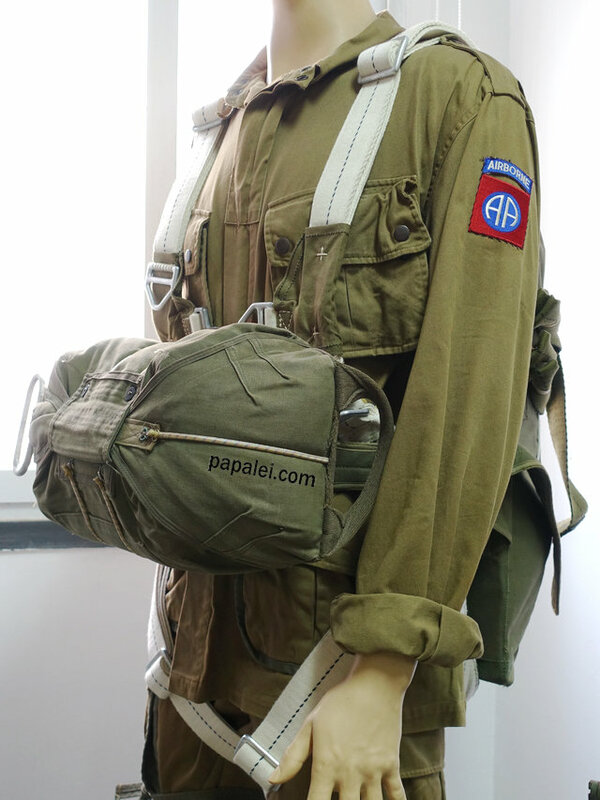 The classic troop parachute of the U.S. airborne during the war was the T5. 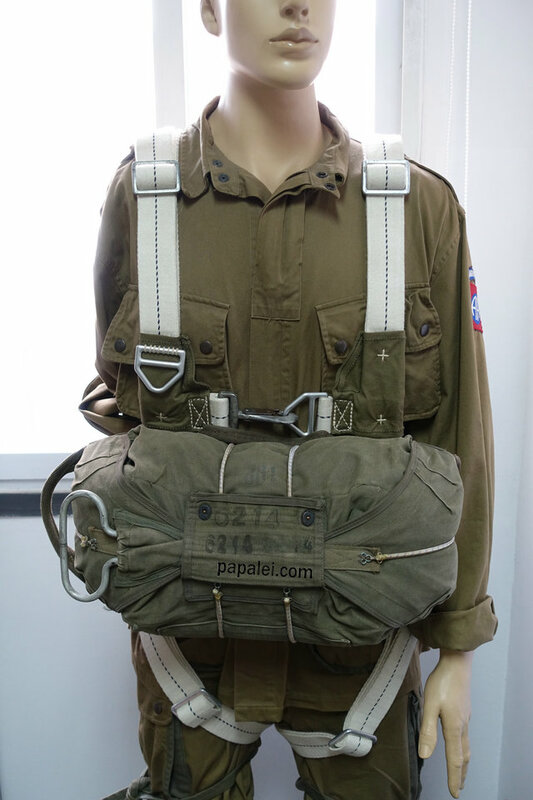 It was approved as the standard troop type on 1 3 June 1941. 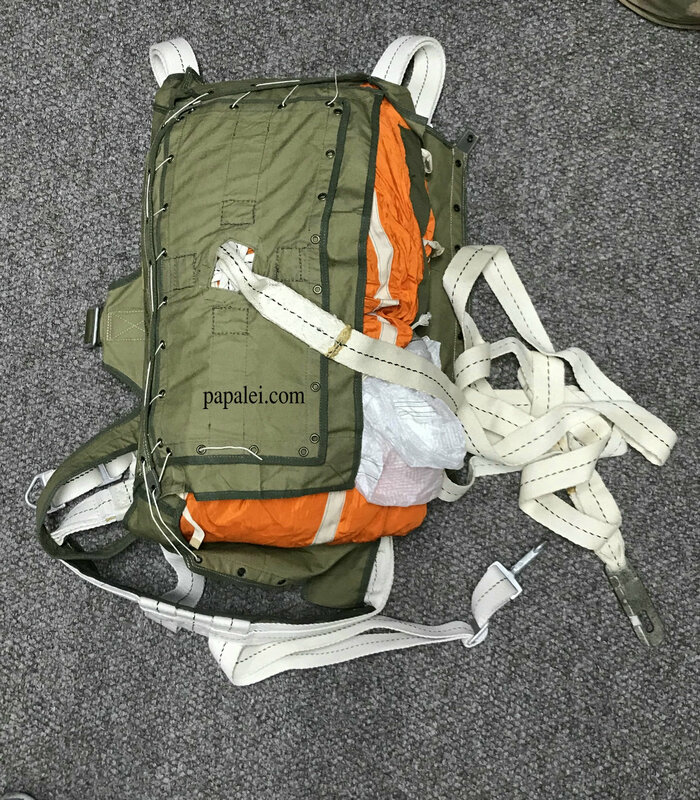 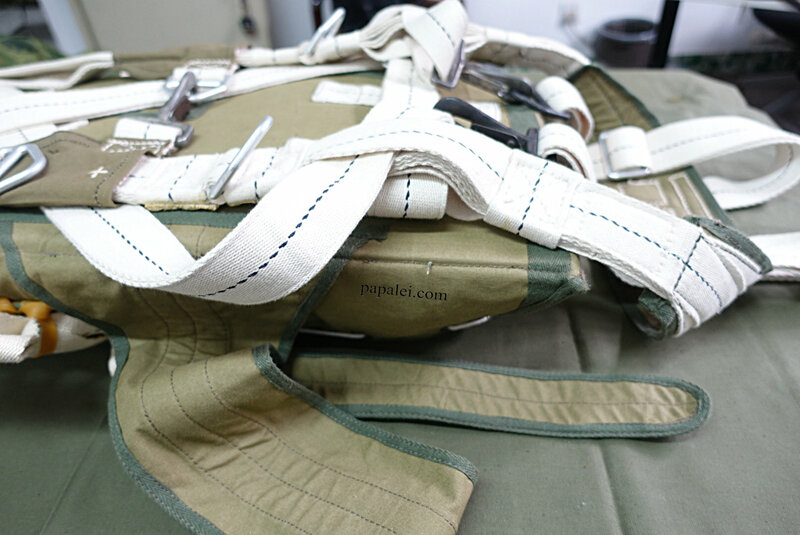 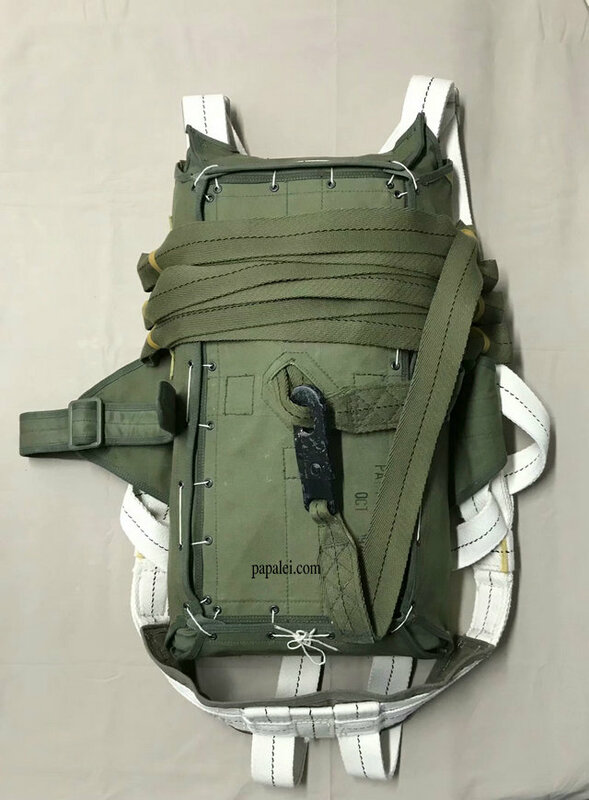 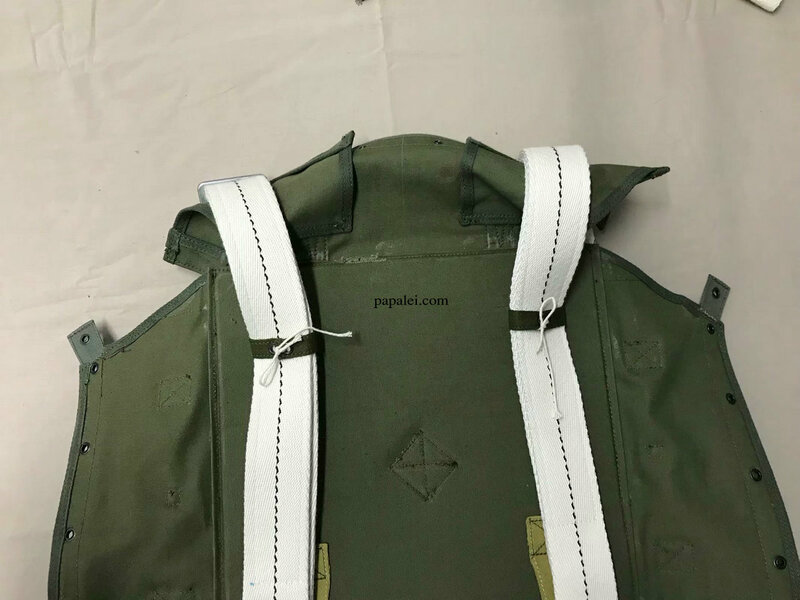 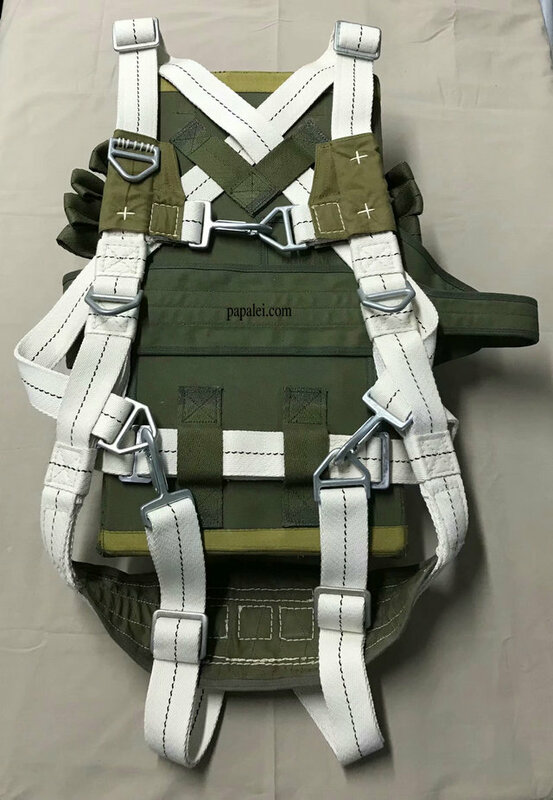 It is identified by its three separate snap hook Harness closures, separable reserve pack, and pack tray flaps That fully enclose the main canopy. 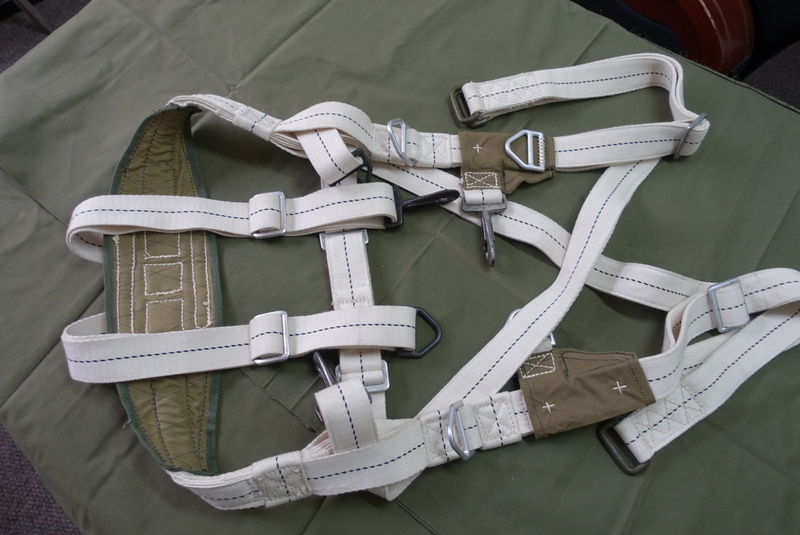 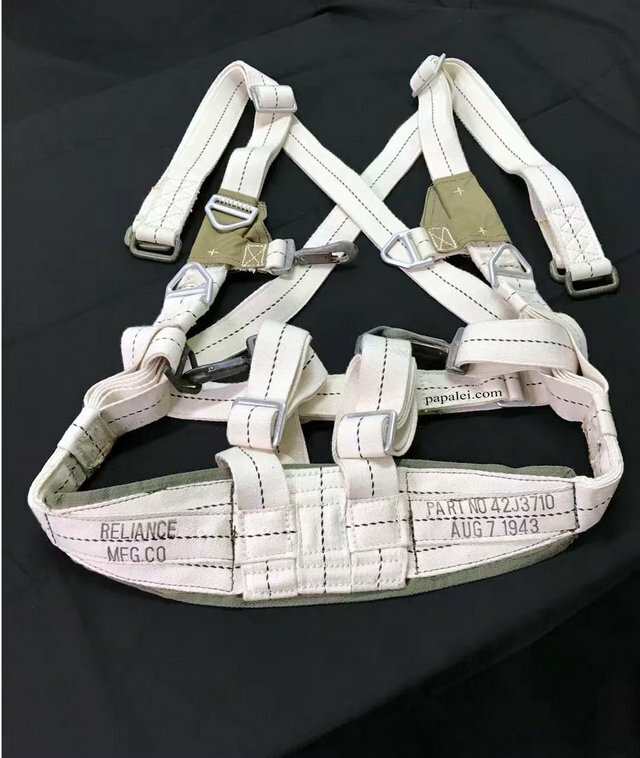 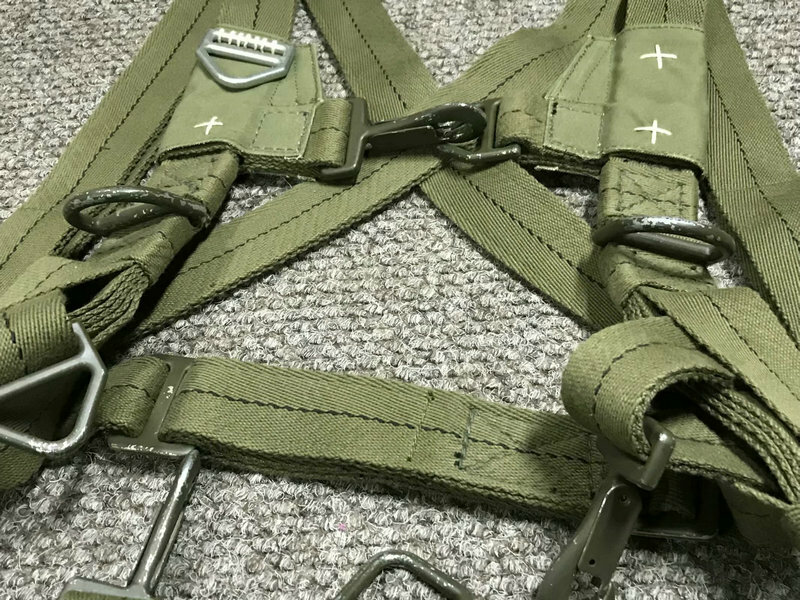 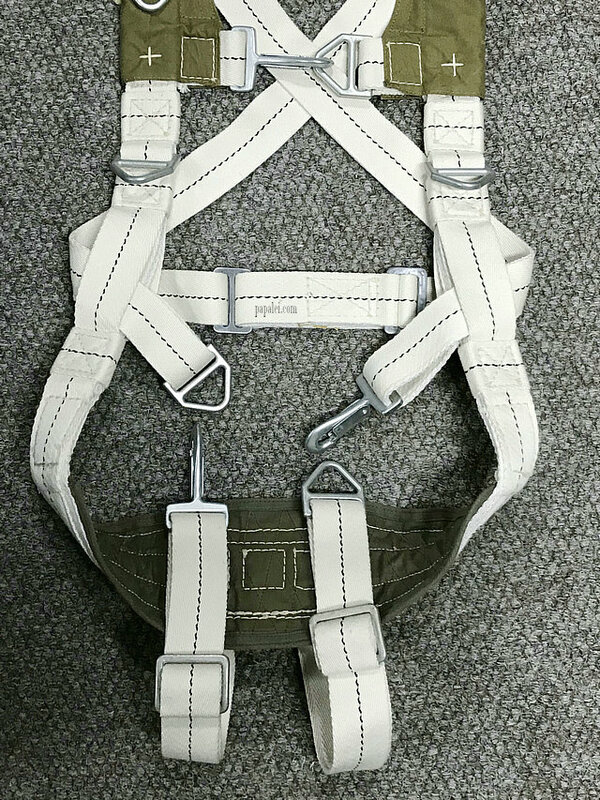 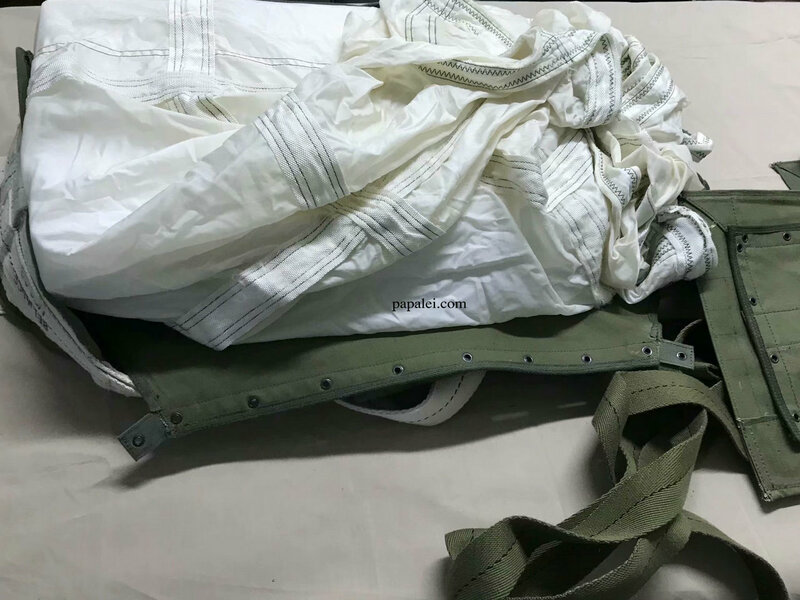 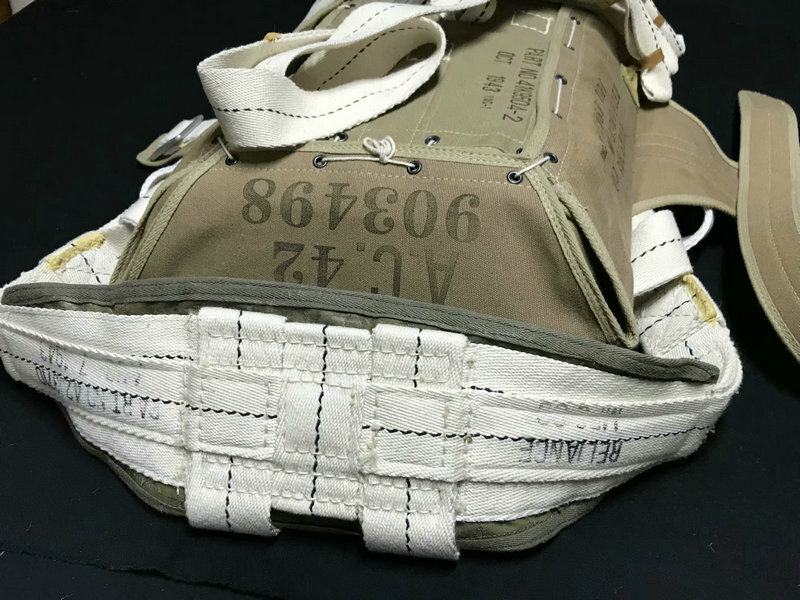 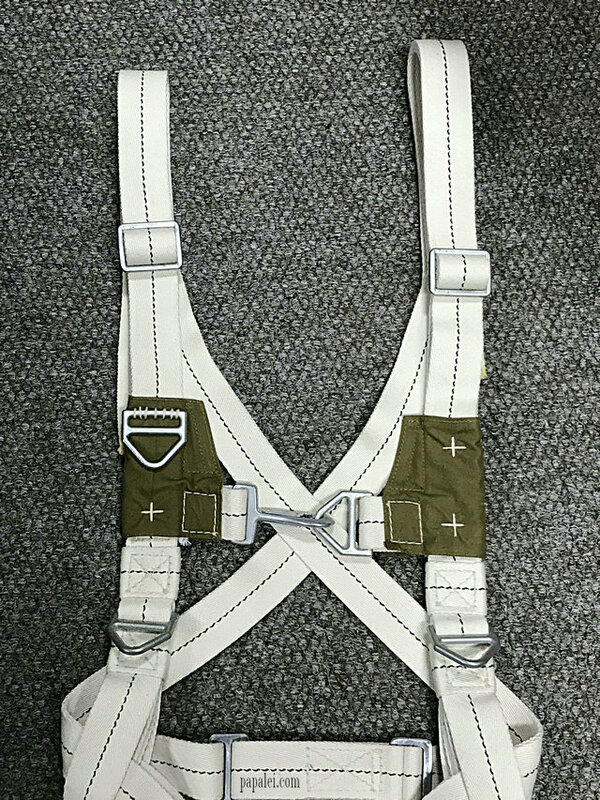 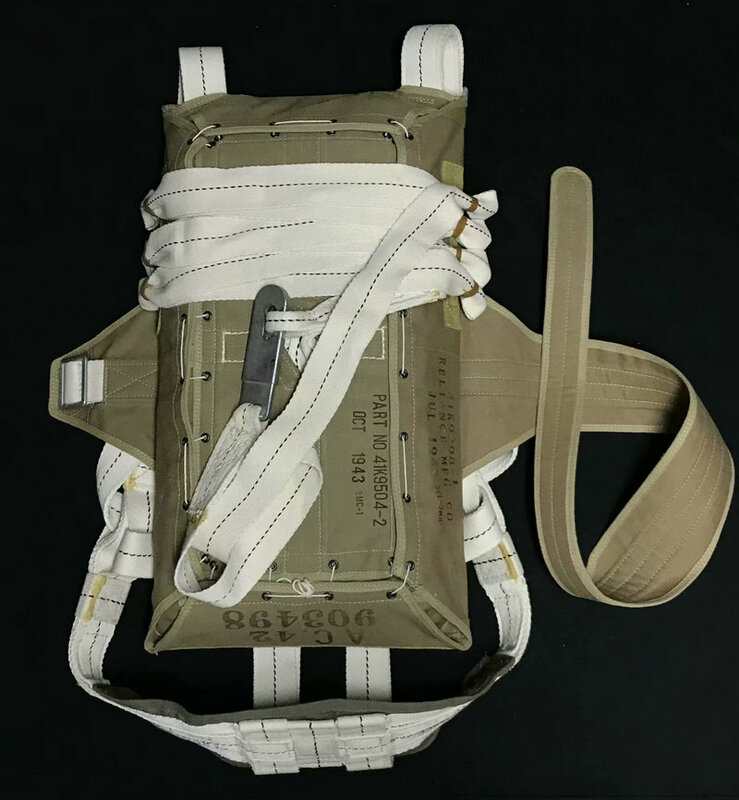 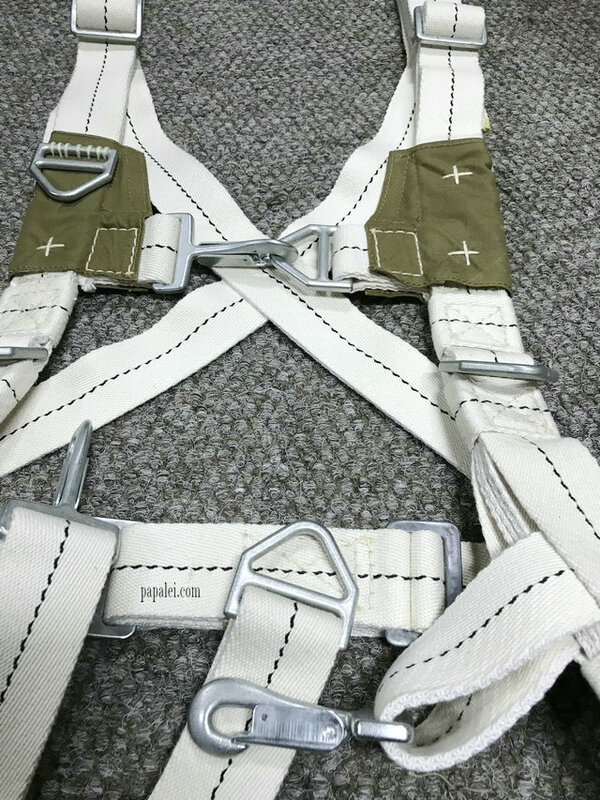 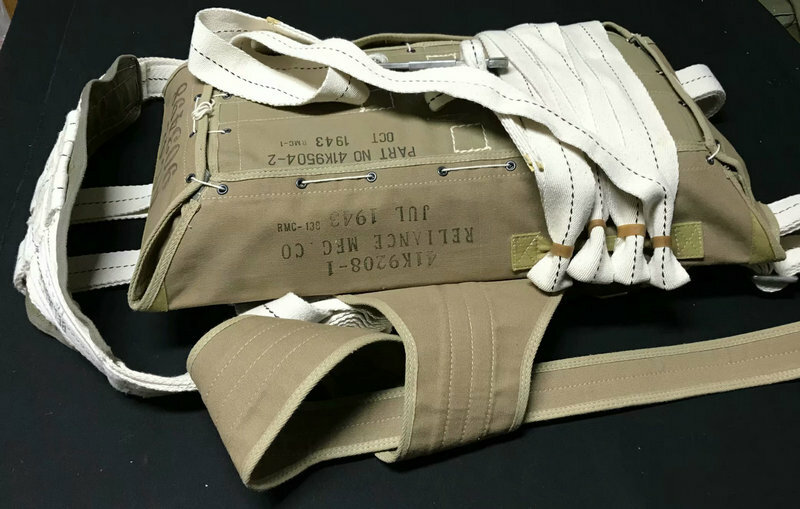 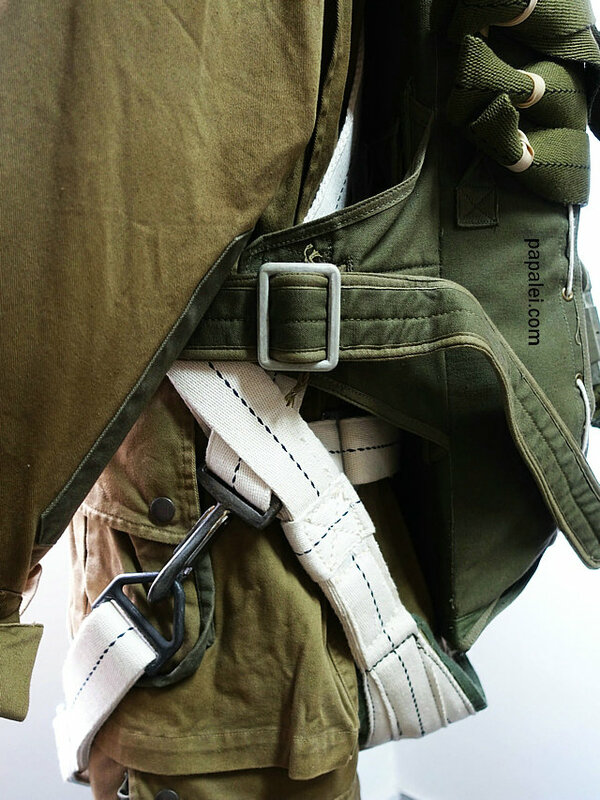 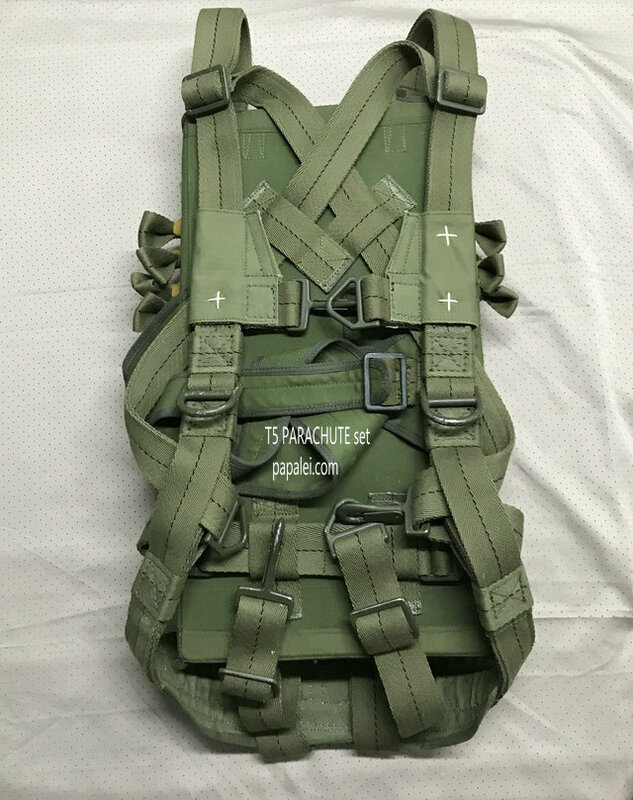 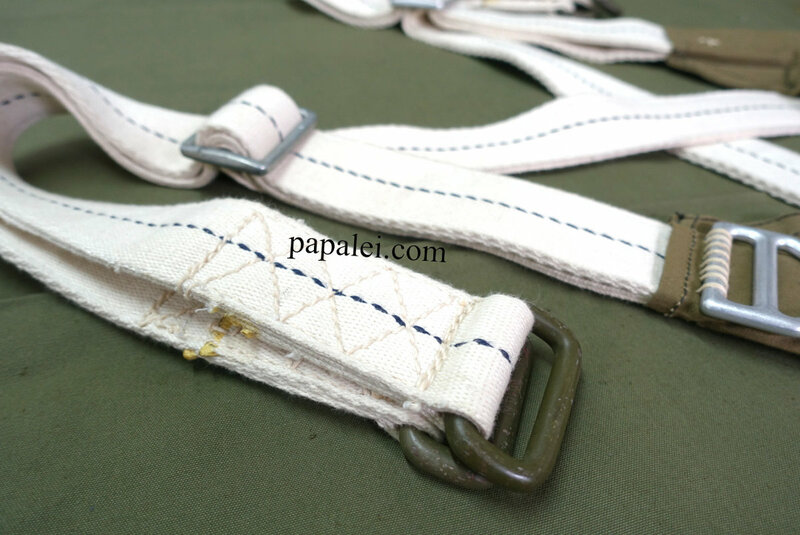 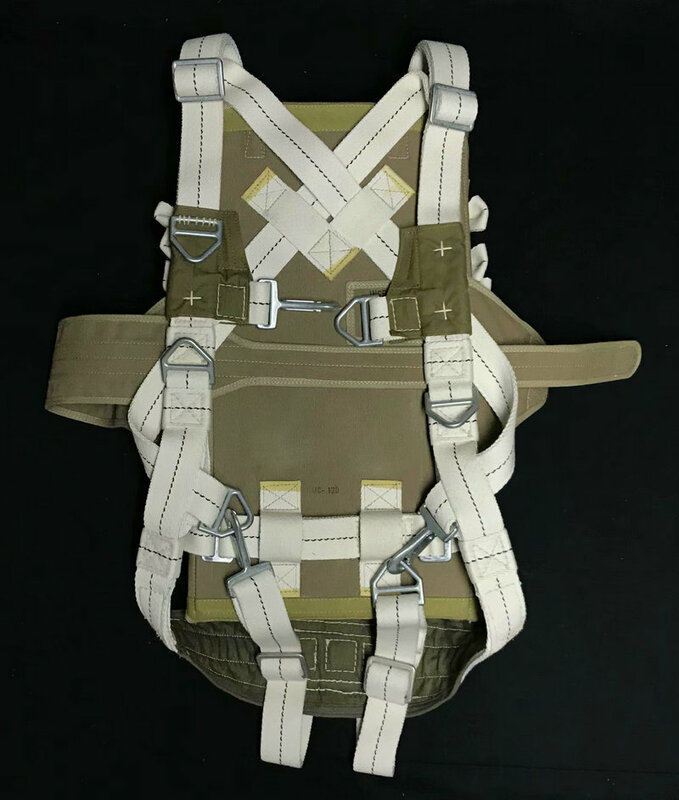 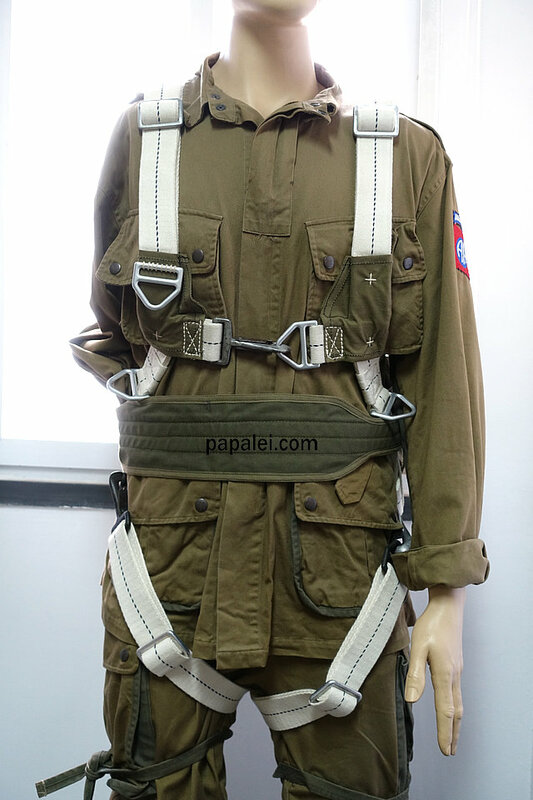 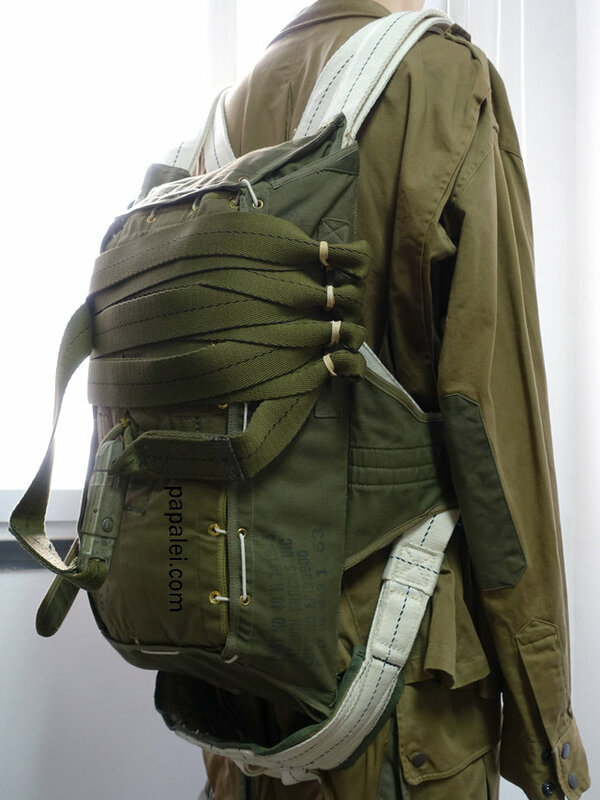 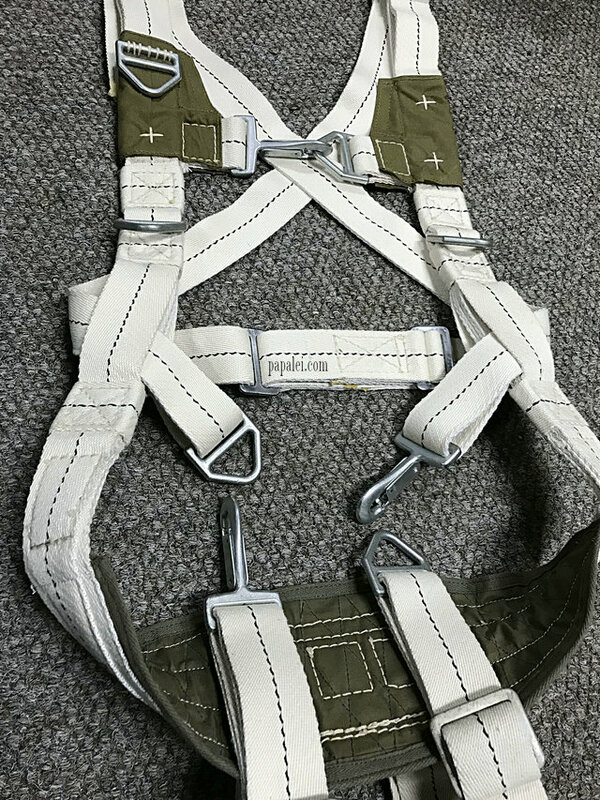 The harness was fabricated from multiple layers of Type VIII cotton webbing which is I 3/4" wide, has two black center nylon threads and a rated tensile strength of 2900 pounds Initially the harness was made from undyed, white web. 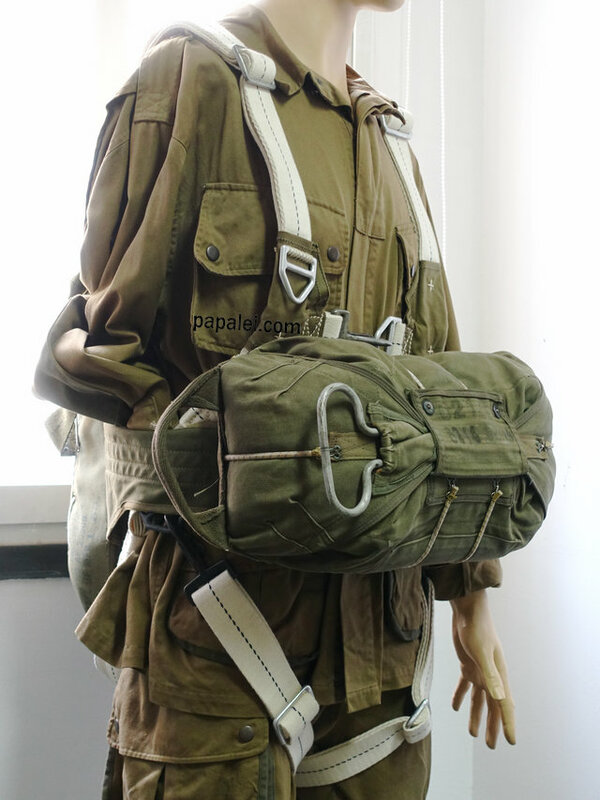 This changed to a more tactical green by 1944. 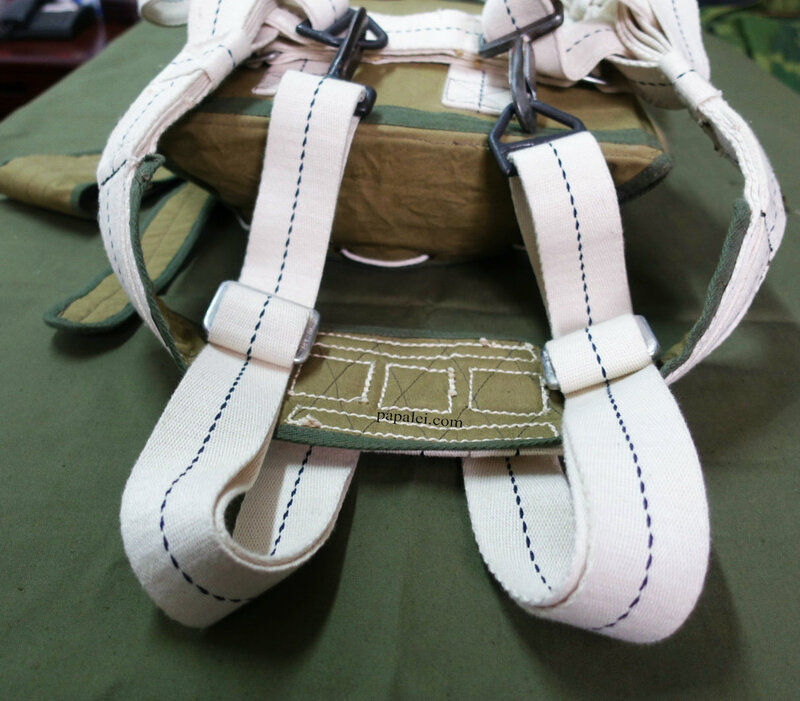 Almost an entire 100' roll of webbing was required to make harness. 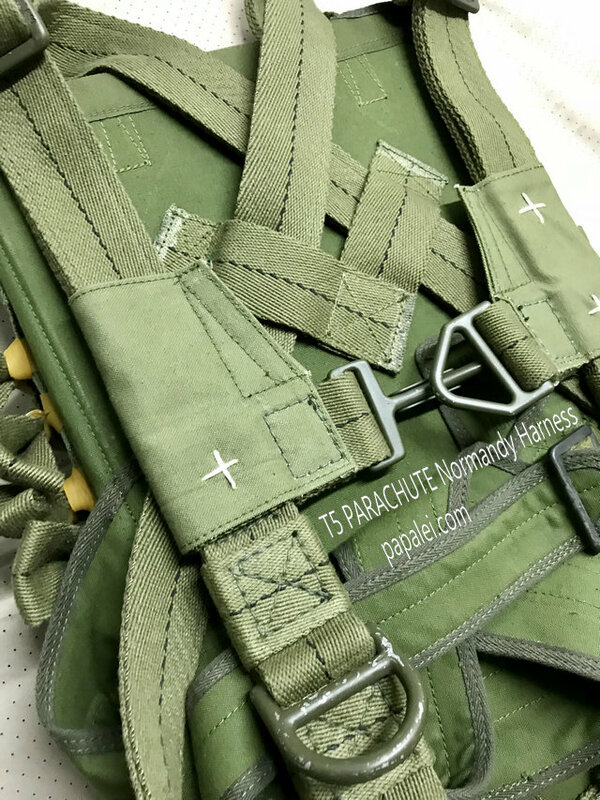 The early T5,usually called training version had V rings for reserve attachment.. 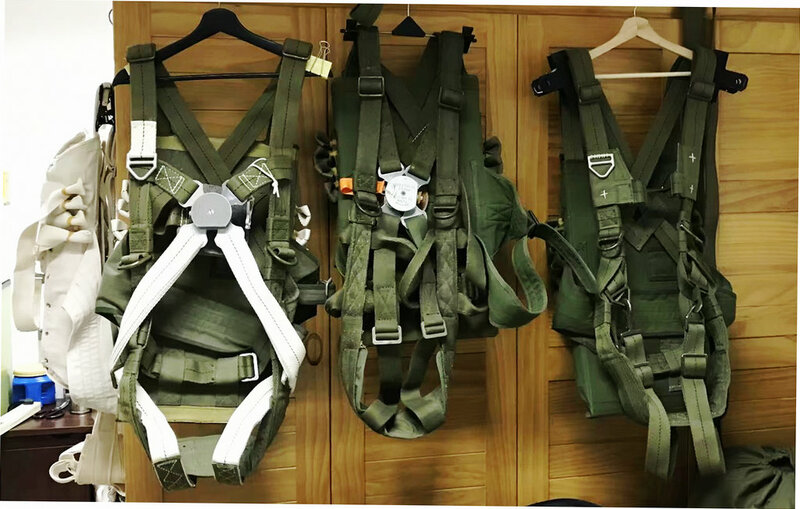 These were replaced by 3000 lb test D rings in order to carry cargo. 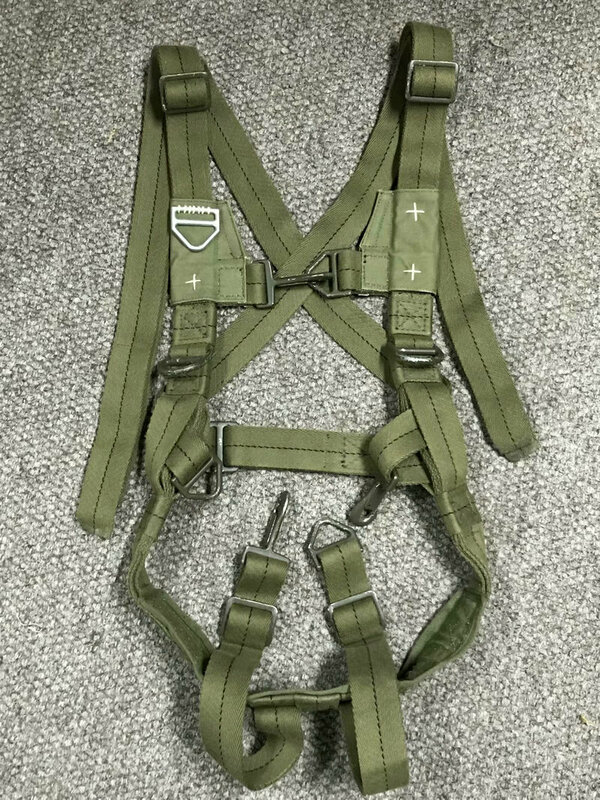 This changed to a more tactical green by 1944. 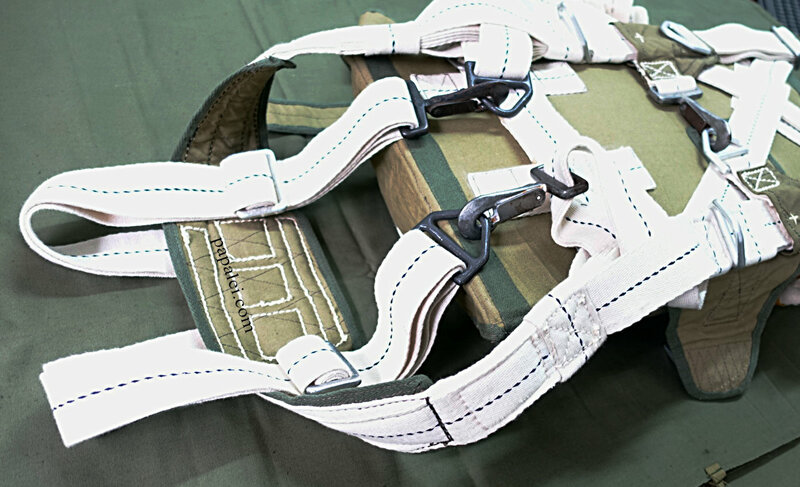 Almost an entire 100' roll of webbing was required to make this pattern OD harness.